Written By: Ian K. Smith M.D. Narrated By: Ian K. Smith M.D. And someone others want to be with, too. No matter where you start, Happy can help you improve your life and permanently alter your happiness set point. Dr. Ian has inspired millions to lose weight. In counseling dieters, Smith learned that while achieving hard-fought and worthy goals can help make a person happy, even these real accomplishments aren't what make happiness stick. 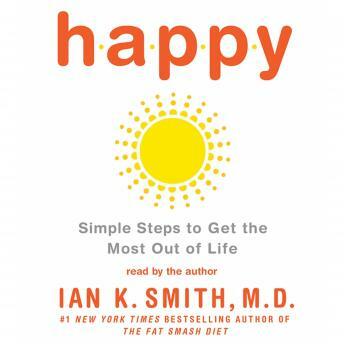 Happy is a life-changing book from one of America's most trusted voices.